Home MMA News UFC Fight Night 96 results: What’s Next For John Lineker after edging out John Dodson? UFC Fight Night 96 results: What’s Next For John Lineker after edging out John Dodson? 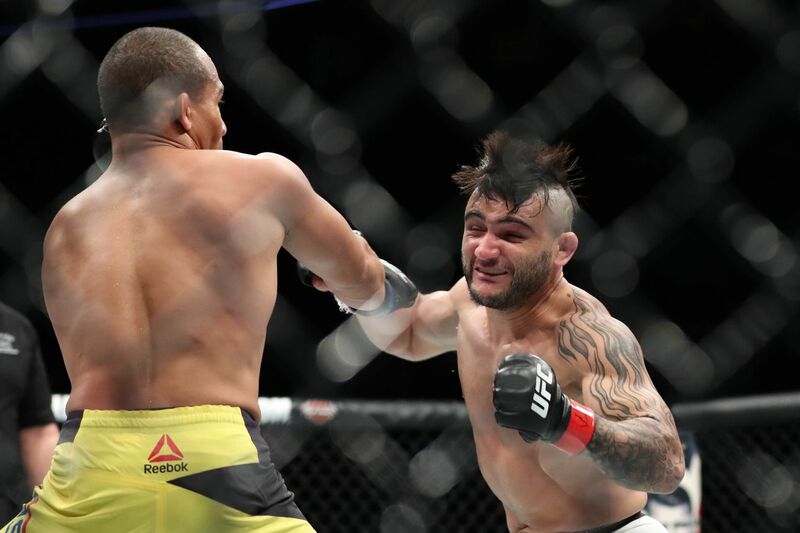 John Lineker continued his assault on the Ultimate Fighting Championship (UFC) bantamweight division, edging out John Dodson in a highly-entertaining five-round fight in the headlining bout at last night’s (Sat., Oct. 1, 2016) UFC Fight Night 96 in Portland, Oregon. In doing so, “Hands of Stone” picked up consecutive win number six, including reeling of four straight victories since moving back up to 135 pounds. Not only did Lineker show why he’s so dangerous, keeping Dodson on his heels going back for the majority of the fight to avoid his haymakers, but he also proved he can take a licking and keep on ticking. With another win in his back pocket, the Brazilian bomber is on the fast track for a shot at a UFC world title, something that’s eluded him for the longest time. But, it won’t come just yet, as Lineker failed to make weight for a record fifth time while employed by UFC. And believe me when I tell you, that doesn’t sit too well with the UFC higher-ups. And though his win was impressive, you can bet your bottom dollor matchmakers will take that into consideration when it comes to deciding who gets next dibs at Dominick Cruz. It’s safe to assume John won’t get “The Dominator” next, as that opportunity will likely go to Cody Garbrandt, seeing as how he and Cruz have already begun promoting a potential championship fight between them. With that in mind, Lineker will likely get ex-division king T.J. Dillashaw next in an intriguing bout that will definitely see the victor get the following title fight against either “No Love” or Cruz. The fight will give John another opportunity to prove he can make weight.